Npower is one of UK’s Big Six energy suppliers and has a significant proportion of the energy market for domestic and business customers. Below we look at what tariffs and services Npower offer to its businesses customers. Note this article focuses on Npower’ Business tariffs and services, domestic customers should visit our Npower Reviews & Tariffs page. Additionally, Citizens Advice ranked Npower Business 10th out of the top 15 business energy suppliers. Npower offers a range of gas and electricity contracts that range from simple fixed-rate contracts to sophisticated, flexible contracts. There are no rates published. The Npower gas tariff offering is the same as the electricity tariff offering. Npower is currently planning its smart meter rollout for its business customers and is pre-registering interest for smart meters. Small business customers can only submit online meter readings through their online account. You can submit a meter reading online on the meter read form, contact your Business Development Manager or Customer Relationship Manager, or call 0800 138 2322. Npower has a help page to assist small businesses in understanding their bills, how to pay bills, and direct debits. Npower currently only has a mobile app for its domestic customers. 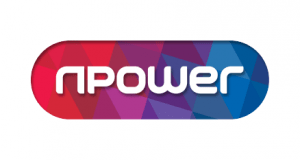 You can switch to Npower by calling 0845 071 0613 and can get a quote online. Once you are happy with the quote you need to complete an application either online or over the phone. Npower will then complete the switch for you which can take up to 16 calendar days. If you want to switch to Npower you need to contact their New Business Team 0800 316 0103 or email newbusiness@npower.com to get a quote and to discuss switching to them. If you are moving premises with npower or moving into a Npower supplied address you need to contact the Business Movers Team 0800 316 0531 or email nbs_changeofoccupier@npower.com. You can also visit your premises page for information. If you are leaving a Npower supplied property you need to let them know as soon as you have a moving date. You can also switch your new premises to them. If you move into a Npower supplied property you need to contact Npower as soon as possible to start the joining process. Deemed rates will be applied initially which intend to be much higher rates. Once your complaint has been received you will be assigned a dedicated case handler who will usually resolve the case within 28 working days. If a solution cannot be agreed it will be passed to a Complaints Manager who will review and investigate it within five working days. Microbusinesses can take their complaint to the Energy Ombudsman if it has not been resolved within eight weeks.